According to Intel, its sixth-generation Skylake CPU is the “most significant processor in a decade,” which is a pretty bold claim to make. The company attributes this big leap to improvements in the processor’s power efficiency and wireless capabilities. For those up to speed on the latest tech news (namely about computer hardware 5 Computer Hardware Review Sites For The PC Enthusiast 5 Computer Hardware Review Sites For The PC Enthusiast Read More ) that statement likely has you salivating in anticipation. For everyone else, it probably just looks like a bunch of tech jargon and mumbo jumbo. Does the Skylake CPU really give that much of a boost? Is it worth spending the money to upgrade to one right now? Let’s break it all down and take a look at what Intel is actually saying. Believe it or not, the performance of a CPU What Is A CPU and What Does It Do? What Is A CPU and What Does It Do? Computing acronyms are confusing. What is a CPU anyway? And do I need a quad or dual-core processor? How about AMD, or Intel? We're here to help explain the difference! Read More largely relies on the power management and power efficiency rating it has. This is especially important with multi-core processors because they must be able to power up extra cores during heavy workloads, and gate them off during idle periods. If you have a processor running at max performance the entire time it’s in use, it’s going to significantly impact the life of that unit. This scenario is akin to leaving a car running for hours while it’s sitting in your garage. It’s not a good thing to do, because it causes more wear and tear and will eventually lead to disaster. Naturally, this means that processors need a way to monitor performance requirements, and must dynamically react when workloads increase or decrease. When you start doing things that require more performance from the CPU, it should be able to boost power to various cores to match the needs of that particular situation. When you’re done, that processor should also be able to power down areas – or cores – that are not in use. Some processors, namely the newer generation models, are superior at managing their power levels. This is because, over time, the technology has improved and the companies building the processors (like Intel) have learned better and more efficient ways to utilize them. Getting back to Skylake, Intel has equipped its newest processors with advanced power management features. Thanks to an adjustment in power delivery and frequency control, the processor offers much better performance during times of low power usage. This does not mean that the previous generation, or those well before, do not offer similar power management features. It just means that Skylake does it better. The Skylake CPU adopted the WiGig standard, which is a unique bit of technology that allows for Gigabit-speed communications via wireless connections. This technology is primarily used for wireless docking, magnetic resonance charging (AKA wireless charging), streaming video, and cable-free peripheral support. In other words, this is one of the core points of the Skylake processor, and it means that wireless will be a big deal going forward. Yes, wireless already has its place thanks to ubiquitous Wi-Fi and Bluetooth support, but the wireless functionality that Intel is talking about is different. For starters, WiGig is ridiculously fast: it can deliver speeds of up to 7 Gbps. More importantly, the band supports wireless charging technology What Is Wireless Charging & How Exactly Does It Work? [MakeUseOf Explains] What Is Wireless Charging & How Exactly Does It Work? [MakeUseOf Explains] We live in a wireless world. Except we don’t. Sure, we can send huge amounts of information across the airwaves, but the devices capable of sending and receiving it are tied down to power cords.... Read More , which means it’s possible to create a truly wireless PC or laptop. The computer can sit on top of — or nearby — a wireless charging dock and juice up. Say goodbye to that rat’s nest of wires you’ve built up behind your desk. With Intel supporting this technology, it’s more likely that other manufacturers will adopt it as a standard, and that’s good for everyone. 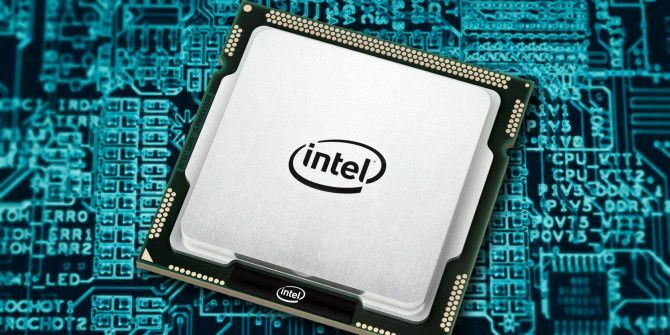 Of course, you can’t expect an entirely new generation of processors to debut with nothing more than a couple of new features, especially when they are purported to deliver such a significant upgrade. Skylake brings DDR4 RAM support to the mainstream consumer market while still maintaining support for DDR3L. 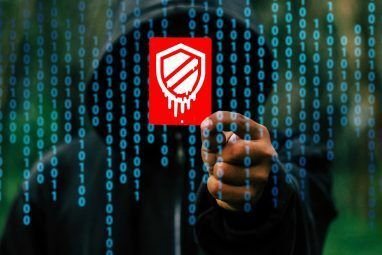 Skylake improves security through Intel Software Guard Extensions (SGX) and Memory Protection Extensions (MPX), two technologies that work to prevent system infiltration. Skylake offers a boost in onboard graphics performance, with support for DirectX 12, 16x MSAA, adaptive scalable texture compression, multiplane overlays and more. Most of the new features and improvements will have a greater impact in the mobile space, for devices like smartphones Ditch Your Desktop! Turn Your Smartphone Into a Desktop Replacement Ditch Your Desktop! Turn Your Smartphone Into a Desktop Replacement Want to ditch the desktop and just use your smartphone? You can do that! Read More , tablets, and low-power laptops (AKA ultrabooks). The embedded WiGig support will be remarkably useful on that front as well. Should You Make the Upgrade? If you own a Haswell processor and you’re looking to switch, you’d be better suited to grabbing a Haswell-E chipset. This is because Skylake, in its current state, won’t offer a huge performance gain, but Haswell-E certainly will. On the other hand, if you’re running a Sandy or Ivy Bridge processor, then it’s definitely time to upgrade. You can expect to see a 30 to 45 percent increase in performance just by making the switch. Sadly, there is no definitive answer. It really depends on what kind of processor you’re using currently and where your bottleneck lies. 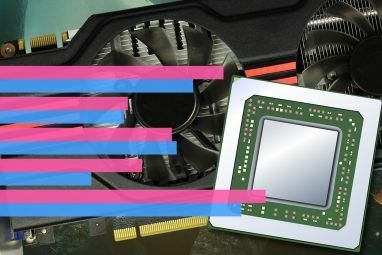 Be aware, however, that if you’re looking for a faster computer, there are better upgrades to make first These Upgrades Will Improve Your PC Performance the Most! These Upgrades Will Improve Your PC Performance the Most! Need a faster computer but aren't sure what you should upgrade on your PC? Follow our PC upgrade checker to find out. Read More . So, it’s up to you. Do you think the improvements and new features in the Skylake line are worth the cost of an upgrade? Explore more about: Computer Processor, Intel. To those at "makeuseof" please stop changing the logon sequence. Why can't you just have a simple logon in the upper right corner like most sites that keeps you logged on if you so choose? Don't want no Windows 10. I say we refuse to move forward and keep Windows 7. Who's computers are these anyways? If MS doesn't want to support it than they should be forced to release the code into the public domain. 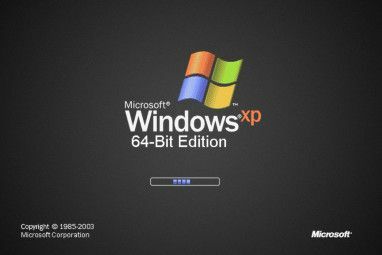 It didn't happen with ANY previous version of Windows and it will not happen with Win 7. I have no plans for Win10. I still like Win7. When Microsoft quits supporting Win7, I'll probably move to Linux which is on my other home machine and on my laptop. You did not mention another important feature of Skylake, namely that it will run only Win 10. This is entirely wrong. Microsoft's announcement that only Windows 10 would run on Skylake was recanted about two weeks later, meaning Windows 7 and 8.0/8.1 would get support until 2018. Also, Microsoft's decision to not support Windows 7/8.x meant that *Microsoft* would not provide support or drivers; manufacturers (such as Intel, Asus, MSI, etc.) are free to provide drivers. I haven't seen anywhere that the OS will refuse to install, or would not run right, just that you may need to provide drivers during setup (on a USB drive, for example), just like you had to provide a driver floppy to set up Windows XP on a SATA disk. Although it perhaps hasn't been stated as explicitly as what you're looking for, the straight up implications of Microsoft not supporting Skylake means exactly that it won't install and / or run. But yes, they have set a temporary reprieve until 2018, at which point any future Skylake (or more likely the Skylake successors) won't function in Win7/8.x. What Makes the Intel Core i9 the Fastest Processor and Should You Buy It?